Today’s standards for gas flow metering are applicable for design and installation of the meters. However, none of these cover the sensitivity of the flow metering equipment in real life field applications which might change during operation. “The operational use of a flow meter in field applications can be distorted by many factors. The presence of liquids, dust, accumulated dirt on the inside of the pipe and meter, as well as vibrations and pulsations or a noisy valve – all of these factors can severely influence the results. These difficult field conditions can lead to inaccuracies in metering after design and installation and pose a major financial risk for metering system operators,” explains DNV GL’s Senior Vice President, Oil & Gas, Liv Hovem. “DNV GL’s new qualification scheme provides assurance of the meter’s field robustness,” she continues. The new technology qualification scheme for high accuracy gas flow meters is based on DNV GL’s industry recognized Recommended Practice (RP) DNV-RP-A203 - Technology Qualification. The process is widely accepted and applied for new technology, particularly in offshore applications. The TQ process is a methodology developed with specific acceptance criteria for technology under review and can be applied during any stage of the development lifecycle of systems or technology. 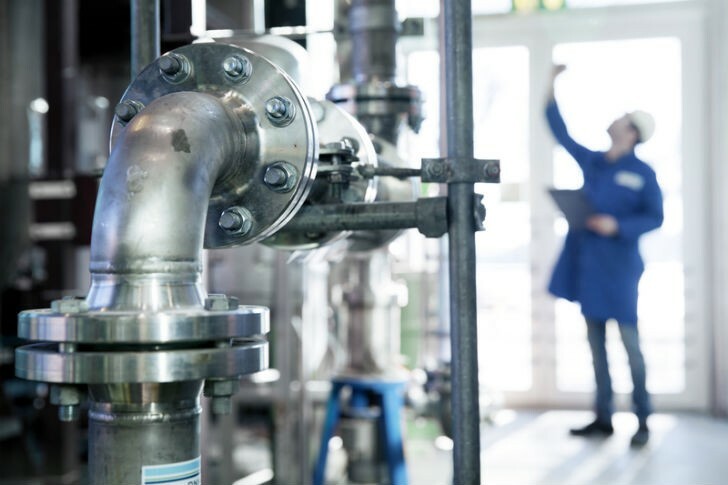 Two of DNV GL’s world-class laboratories are qualified to do the testing and verification of high end meters: Groningen Gas and Multiphase Flow Laboratories in the Netherlands and the Flow Centre in Durham, UK. These labs have accurate flow references well-suited to determine how metering systems will react on several real-life field distortions. In addition to testing in its own laboratories, DNV GL also provides independent verification of field robustness testing performed at other laboratories or in field applications as part of the verification process. “DNV GL has more than 30 years of hands-on gas metering experience. We provide gas users and traders with metering policy advice and recommended practices to enable the best industry practices while managing investment and operational costs,” continues Liv Hovem. DNV GL also provides a number of courses that focus on fiscal and allocation metering of dry gas, wet gas and multiphase flows. Pressure regulators for gas analysis.